It was a huge success. Considering that the fair charged an entrance fee (which could be a deterrent), there were huge crowds everywhere. 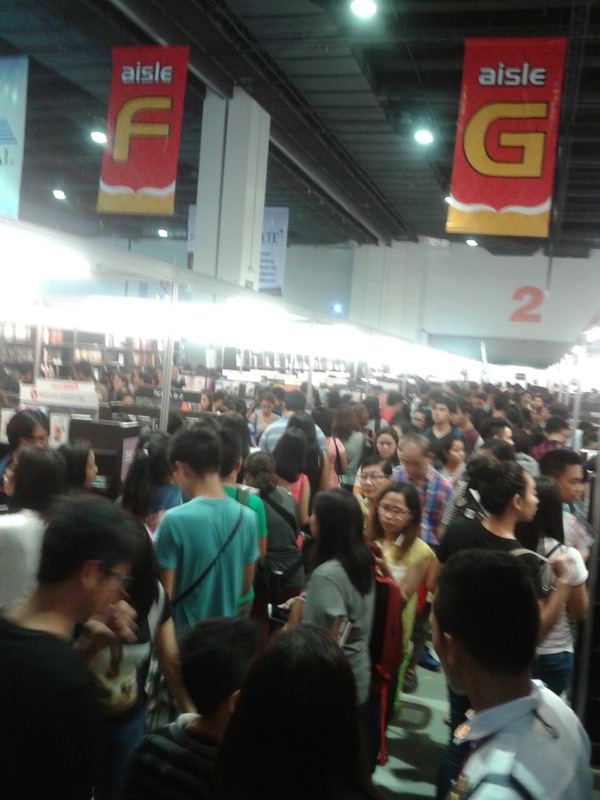 In some of the big booths (such as National Book Store and Fully Booked), if you wanted to buy the books you fancied (and many were there in the fair to actually buy), you had to line up for a long time. Each publisher had their set of gimmicks. National Book Store and Fully Booked gave (not so) huge discounts. Summit Media and Viva Publishing had their celebrity authors appear for book signings. Wattpad writers had their meetup with fans in the fair as well. School officials were there to order textbooks in bulk for their students and libraries. Most of the people who went and bought print books at the fair were young. A good sign for the publishing industry’s future. 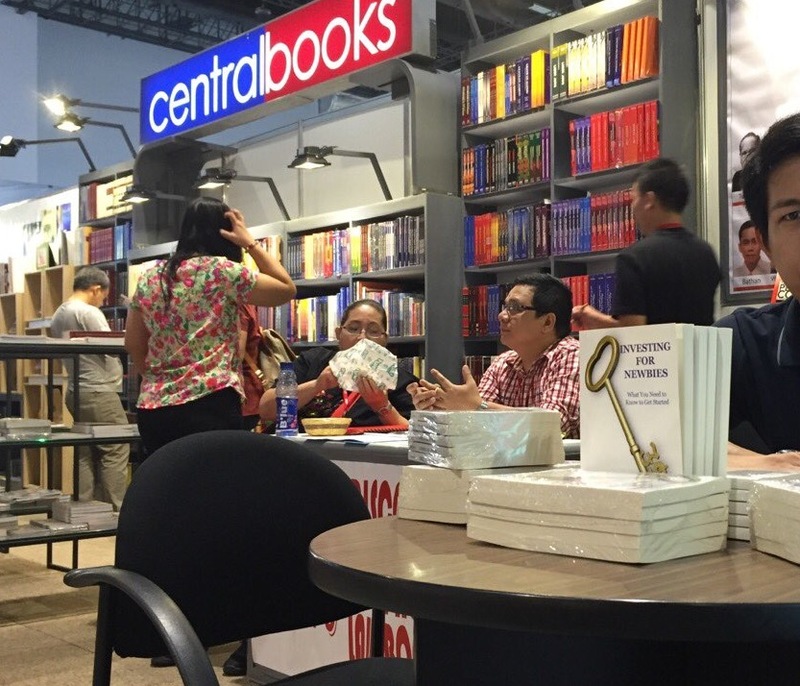 Central Books, the Philippine printing house where I had my books reprinted locally (my book was initially printed in the United States via self-publishing company Blurb), had exhibition booths in the fair. They asked me if I wanted to appear in the fair for a book signing. How I did I respond? A book signing event with a captured market of book lovers, that I don’t need to setup, market or spend for? Of course I said yes. Since Central Books have a lot of other books for sale, having a book signing would mean that my books will be displayed prominently. While I was there, may books were placed in a separate table in front. Since I only confirmed my appearance at the fair the day before, there were glitches (partly my fault). Posters of my book weren’t prepared and the book signing wasn’t announced in advance at the fair (they will have several announcements in the fair’s public address system in the hours leading into and during the signing). Also, the previous author scheduled for a book signing at the Central Books booths came late. He was scheduled for 1pm, I was scheduled for 2, but he arrived at 230pm. I had to move out of the more visible table to a less visible one when he arrived. As I mentioned in my previous post (read here), a book signing can be ego crushing if no one came to buy your book. How did I do? A few minutes into my schedule, people came in and inquired about the book. This was even before they announced the signing over the speakers. A few people bought the book, had it signed, and even chatted with me. Since my book was on a publish-on-demand (POD) system, the printing costs were expensive per book, so the retail price of the book was on the expensive side. Many wanted to buy the book, but decided not to buy because of the price (which I totally get – If it’s only possible to sell the book for about half the price – I would!). 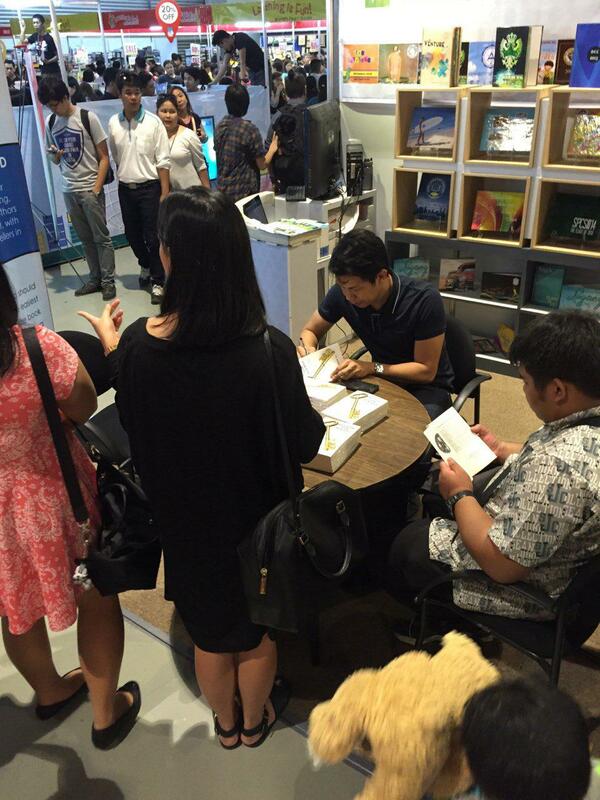 I intentionally didn’t invite any of my friends and colleagues to the book signing just to have a “crowd”. I wanted walk-ins and organic patronage. Even if no one bought my book at the fair, that would’ve been fine. 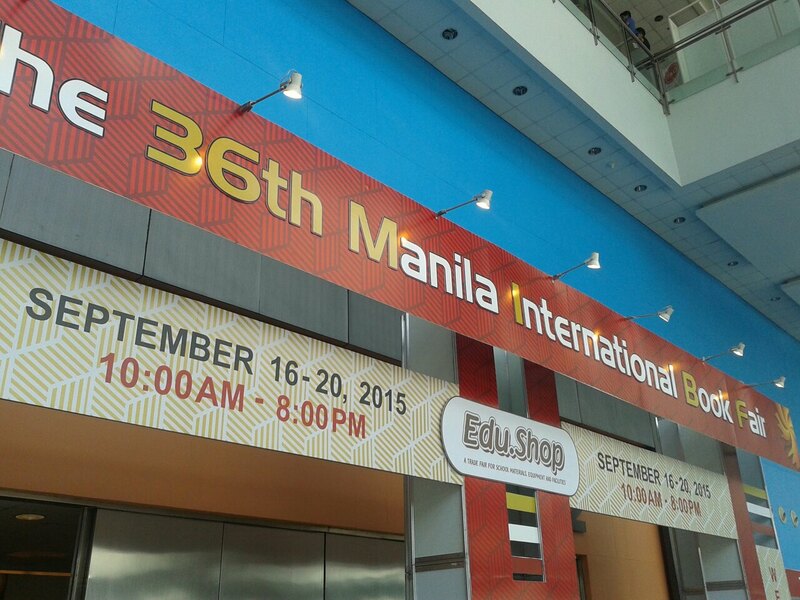 I was there at the book fair primarily as a customer (I bought some books) anyway, not as someone peddling my book. I came. Some people bought my book. Ego not crushed. Whew! There’s hope for aspiring newbie book writers everywhere.